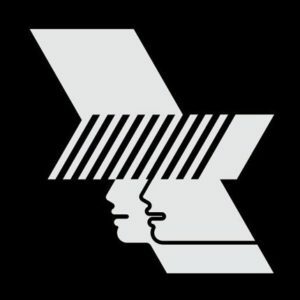 Since opening its doors in 2006, Manchester’s Warehouse Project has built a reputation hosting the most respected and beloved music producers in the business. Love International in December will be no exception, with a carefully curated line-up of diverse acts spearheaded by one of the founding fathers of house music, Larry Heard. If you don’t recognise the name, you will either recognise the music, the samples, or the influence he has had on the dance music you hear DJs spinning today. As a respected musician and record producer, Heard was a key contributor to the Chicago house music scene of the 1980s and a pioneer of deep house music. The chance to see him perform in the flesh is once in a lifetime, and is surely reason enough to get yourself to Manchester on the 2nd of December. If you need a bit more persuading, techno and electronica heavyweight Laurent Garnier will be returning to Manchester from France for the night. Shortlisted by Mixmag for “best DJ of all time” and well respected by Detroit’s techno scene, his passionate and experimental approach to mixing will be well worth the trip. For a more local flavour, Londoners Joy Orbison, Moxie and Midland will each take their turn spinning anything from house, techno and disco, to jungle, garage and dubstep. With such an extraordinary celebration of dance music on an international level right on our doorstep, it would be rude not to. If you want to start December the way you intend to finish it, get yourself a ticket, grab a meal deal for the train home, and hot foot it to Love International on December 2nd.